(CBS/AP) SANFORD, Fla. -- A nationally renowned gunshot wound expert testified Tuesday that Trayvon Martin's gunshot wound was consistent with accused murderer George Zimmerman's story that the teen was on top of him and leaning over when he was shot. George Zimmerman, a former neighborhood watch captain standing trial in the teen's shooting death, has said Martin attacked him and was on top of him just before the fatal gunshot. Prosecutors have argued Zimmerman profiled the teen and started the confrontation. Taking the stand for the defense, Dr. Vincent Di Maio, a forensic pathologist, said that Martin's gunshot wound was consistent with the gun's muzzle being against his clothing, which would have been two to four inches away from his body when he was shot. "If you lean over someone, you notice the clothing tends to fall away from the chest," Di Maio said. "If instead you're lying on your back and someone shoots you, the clothing is going to be against your chest." Trayvon Martin's mother, Sybrina Fulton, left the courtroom as Di Maio testified. The jury saw graphic photos of Trayvon Martin's gunshot wounds in court. 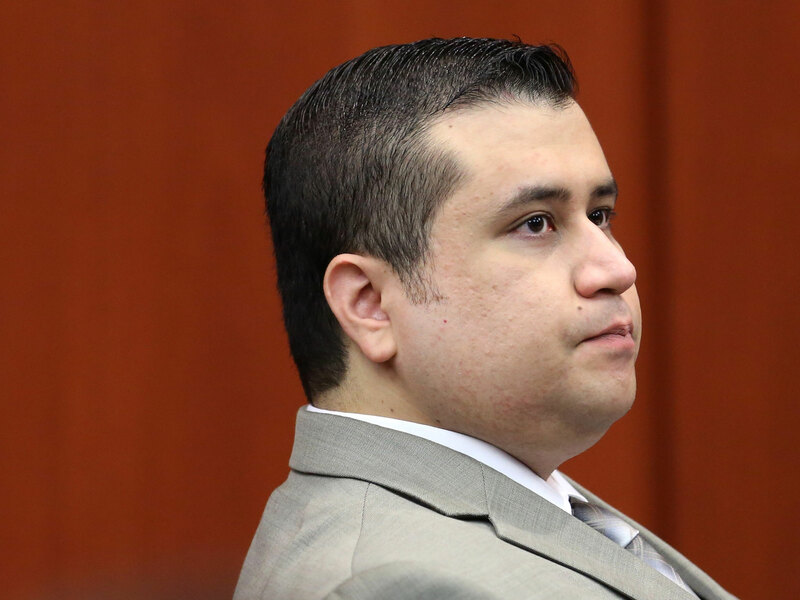 Who was the aggressor in the Feb. 26, 2012 altercation in the Sanford, Fla., gated community has been a key issue in Zimmerman's second-degree murder trial, which is in its eleventh day of testimony. Di Maio said that Trayvon Martin would have been alive for about one to three minutes following the gunshot wound, but would have been able to move and speak for at least ten to fifteen seconds. The testimony was a contrast to the remarks of a medical examiner who conducted Martin's autopsy, who said that the teen could have been alive for up to ten minutes after the gunshot. Dr. Shiping Bao also said he didn't believe Martin would have been able to move after receiving the shot. Prosecutors have said that George Zimmerman told investigators he moved Martin's arms away from his body after the gunshot, although Martin was found with his arms tucked beneath his chest. Answering a question from defense attorney Don West, Di Maio said that someone may be able to move their arms after receiving a similar gunshot. Zimmerman's injuries indicate "you've had severe force, it's not just like you bumped your head or something like that," Di Maio said. Zimmerman's injuries were consistent with having his head hit against concrete more than once, Di Maio said. The former neighborhood watch captain said the teen smashed his head into a sidewalk several times before he claimed he acted in self-defense. The testimony was a contrast to another medical examiner, Dr. Valerie Rao, who testified for prosecutors that Zimmerman had "insignificant" injuries that didn't appear to result from multiple impacts against concrete. Pointing to photos of Zimmerman's injures, Di Maio also said Zimmerman's nose may have been fractured, an injury he said was consistent with being punched in the nose, as Zimmerman said Martin did. Di Maio also said it's possible to receive trauma without visible wounds. "You can get severe trauma to the head without external injuries, actually," Di Maio said. Di Maio also explained that if clothes taken into evidence are wet and packaged in plastic bags, and not paper bags, it can ruin the samples since "bacteria multiplies and you get mold and it stinks to high heaven." Defense attorneys believe DNA evidence found on Martin's hooded sweatshirt and undershirt was degraded since the clothing wasn't packaged properly. Di Maio was still on the stand early Tuesday afternoon after court recessed for lunch.